As part of this posting, I have included a 2005 article from the Pittsburgh Tribune-Review by Karin Welzel. The author does an outstanding job of explaining the tradition, the content and the meaning behind the celebration. Rather than be redundant, allow me to give you my impressions and memories of the event as I experienced it in the 50’s. All of my aunts were buzzing around a rather cramped kitchen preparing all of the traditional foods. Somehow, all of the foods which were part of our every day lives growing up as a hunky smelled so much better on Christmas Eve! Stuffed cabbages, pirogies, kielbasa and poppy seed rolls smelled like food for the gods! I was a very picky eater in those days, but somehow, a became a modern day foodie during the vilija. My uncles had the responsibility of creating a dining surface large enough to accommodate our ever growing family. Since my dad was one of 8 children, the number of people attending was quite large. There was no such thing as a “kids table” in those days, so the eating surface had to accommodate approximately 25 people PLUS the feast itself. The table was usually assembled using two tables which supported large sheets of plywood. It was at least 16 feet long, extended from the dining room into the living room and was always covered with crisp white linens. There were never any decorations on the table, only food, lots and lots of food! The chairs that surrounded the table were a potpourri of chairs from around the house, the out-of-town neighbors and often times from St. Michael’s Church hall. Your seat may not have matched with the neighboring chair, but every family member had their place. Grandpa would always begin the vilija with a blessing. This would be followed by the passing of oplatky (non-blessed communion bread). We would pass a large square piece of oplatky and each person would break a small piece off to be consumed in unison at the end of Grandpa’s blessing. I remember tha the oplatky would always come to the table in an envelop that was decorated with a colorful representation of the birth of Christ. Once we had taken our oplatky, the feast began. With amazing speed and dexterity, plates and bowls of food were passed around the table and plates were loaded up to the max. Jokes, teasing, memories, and plans for the holidays were just some of the discussions that occurred during the meal. My dad would always be yelled at by my mom and my Aunt Helen for something he might have said to instigate some trouble, but that was expected, and welcome. After the main courses were completed, out came platters and platters of goodies. Poppyseed, apricots and walnuts seemed to be part of every creation. Each would probably be capable of clogging any artery in the room, but somehow, it either didn’t happen or didn’t matter in those days. Naivety was bliss in those days. Once the dinner was over, my aunts would begin clean-up. Sexist or not, that was the way it was in those days. The men would gather and have some celebratory “shots” and beers, the kids would share their wish lists with each other and the ladies would clean-up the remnants of the feast. There seemed to be an unspoken exception to the communion rule in our family that shots and beers didn’t count when it came to abstaining before communion. Go figure. After everything was in order, each family departed to get ready for midnight mass at their own parish church. Fully stuffed and raring to go, the remainder of the Christmas Eve activities still laid ahead. These traditional dishes of a Slovak Christmas Eve table feature simple, earthy ingredients — plus a bevy of sweets. This recipe is adapted from one by Albina Senko, a native Slovakian who lives in Mt. Lebanon. Senko is from Spis in the northeast region of the Carpathian Mountains. Although Slovakia is only about the size of West Virginia , with 5.5 million people, Senko says, there is a lot of variety in customs among the towns and villages. Heat the oil in a soup pot. Add the onions and mushrooms and saute until translucent. Add the drained sauerkraut, water to cover the sauerkraut, paprika, salt, black pepper and the bouillon cube, if desired. Let simmer — do not boil — adding more water so you still have broth. Add the carrot and potato and simmer until tender, for about 15 to 20 minutes, adding more water as needed to keep a souplike consistency. These bite-sized dumplings can be made from frozen and thawed sweet bread dough to save time. Form portions of the dough into 1-inch rolls, then cut small pieces and bake. The National Slovak Society offers this recipe. Combine these mixtures with half of the bobalky. Commercially prepared Oplatky — the thin wafers coated with honey and then broken at dinner on Christmas Eve and shared among diners — is available from specialty food markets, Slovak and Polish churches and can be purchased through the Internet. Or, you can make your own, using a hot iron form or mold. This recipe is from the National Slovak Society. Combine all ingredients in a large bowl until the mixture has a “pancake” batter texture — smooth and thin. Pour small portions — about a heaping tablespoon — onto a very hot iron form or mold. Makes 98 oplatky, about 5 inches in size. The Slovak Christmas Eve dinner does not contain dairy or animal products because the day before the Feast of the Nativity is one of strict fast and spiritual preparation. Here are some foods likely to be served. Their appearance depends upon whether the family is Roman Catholic, Byzantine or Orthodox. Bandurky — Potatoes, usually boiled, to which onions sauteed in oil have been added. Many families prepare potatoes that are mashed and mixed with peas or prunes. Med — Honey, symbolic of the sweetness of being with the Lord. Sauerkraut Soup, with sauerkraut juice added. Usually single ingredients such as green beans, peas, lima beans, mushrooms or butter beans can be added. 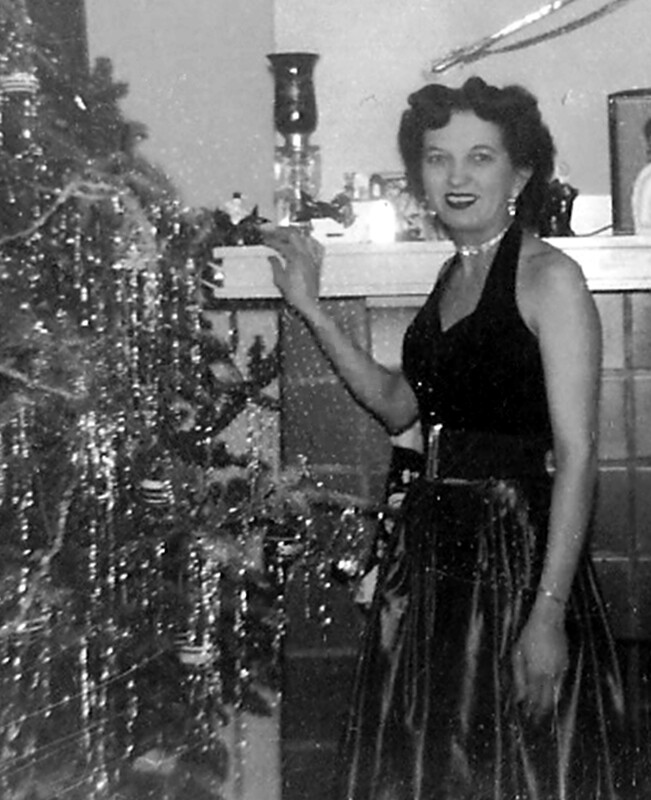 This entry was posted in Christmas Memories, Hunky Celebrations, My Hunky Family, Wintertime. Bookmark the permalink. 14 Responses to Christmas VILIJA! What In The Hunky World Is That?? Jim, THANKS AGAIN FOR YOUR WONDERFUL STORIES OF WHICH BRING BACK SUCH PRECIOUS MEMORIES. HAVE A VERY MERRY CHRISTMAS AND A SAFE AND HAPPY NEW YEAR. My wife and her family celebrated Christmas Eve in the exact same way until her mother passed away several years ago. I’m trying to restart this tradition for them, but I need some help. They used to have a piece of paper or some kine of booklet that had explanations and prayers that were read aloud. It might even have had recipes and the order of eating everything and their significance on it as well. Would you happen to know where I might find something like this. They can’t seem to find their mother’s copy of this. Any help would be GREATLY appreciated. MERRY CHRISTMAS JIM AND TO ALL THE HUNKY’S IN DUQUESNE & WEST MIFFLIN. THIS BLOG ALWAYS BRINGS BACK EXTREMELY FOND MEMORIES ESPECIALLY AT CHRISTMAS. THIS POSTING WAS VIRTUALLY IDENTICAL TO MY RECOLLECTION IN MY MINDS EYE. AGAIN, THANK YOU AND YOUR CONTRIBUTORS. I HAVE A QUESTION,HOWEVER, WHAT IS THE HUNKY NAME OF THE FRIED DOUGH CAKES SPRINKLED WITH POWDERED SUGAR? I HAVE SEEN VARIOUS NAMES HOWEVER NONE RING A BELL WITH ME. This sure brought back wonderful memories for me too, my parents were from Slovakia and held just about the same traditions, ah what wonderful times we had, A lot to eat and be happy and gifts were rare, a stocking full of candy and nuts and some money change, loved that, I was one of nine kids, God bless my Family then and now and the World! Hi, Our Cultural Society will be having a traditional Vilija Dinner at our Slovak Church in Campbell, Ohio, near Youngstown on December 3, 2017. A great time to keep our ethnic tradition and build Community with our parishioners, families & friends! Love this! Both of my parents are from Duquesne (Chonkos and Lemaks.) I remember a few things from my childhood, when my grandparents were alive, but not a lot. I often wondered about my Eastern European heritage and traditions surrounding it. I married into an Italian family and they are heavy on their traditions but I would like to pass some of mine to our son as well. Thank you so much for sharing! As a proud Rusyn Djakujeme for the post. I have tears reading this and I thank my Rusyn families. My grandfather Petro Blanar is buried in the German cemetery which I visit periodically. He died in 1915 and my grandmother returned to Sharon to live. Cannot finish…………………. What delightful memories you brought back! My father and his brothers were raised in Duquesne on Richland, the Bires boys. My dad had a nickname of Bike, as Uncle Mike said he would take off and ride kids bikes but would always return them as they couldn’t buy one. Uncle Mike was known as “Caruso” the singer, he had a beautiful voice and Uncle John, sadly the last one of the boys just passed 2012, the sailor. I lived in McKeesport but we always had Christmas Eve dinner VILJA at Grandmom’s house. You brought back all those memories of the dinner. Oh, how I loved her Mushroom Soup! All those foods you spoke about we had and the Blessing and the honey on the forehead, and the Oplatky, what I would give to have it back for one Christmas Eve! Oh yes, and a little added drama of one of my Uncle MIke’s boys trying to climb the Christmas Tree, he ran off while we were eating (he was only 2) and the crash with the mess of tinsel and bulbs and ornaments, We couldn’t find him at first as he was stuck inside it. Trying to extricate him was a real problem too, I managed to get behind the tree and unstick him which he was not too happy about, but, we kids had a ball redecorating the tree! I think that was maybe in the early 50’s as we moved to Fairless Hills in 1954. I now live in Trenton, NJ. Glad I was given your site! What you’re doing is awesome! My dad does the best he can when telling us about the old Pittsburgh family gatherings, but this paints a wonderful picture of the family I never got to meet! My dad always says when my Pop-Pop (your uncle mike) came back home to Pittsburgh for the holidays, his thick Pittsburgh accent would come right back! I look forward to reading more. Thank you for this! Dad – I really enjoyed reading about what it was like “back in the old days.” 🙂 I would have really enjoyed all the family of it! Also, I don’t even remember Pap causing trouble! I can’t wait to read more about what your childhood was like. Can you share some fun stories about how you and Uncle Steve got into trouble? Absolutely! I hope to be able to post every few days!!! Be sure you subscribe so you know when I have posted something! Love you sweetie! !